A lecture by Kelli Wood, assistant professor of art history, University of Michigan; and a postdoctoral scholar in the Michigan Society of Fellows. Wood’s research has been supported by several fellowships and institutions, including as a Fulbright Fellow at the Kunsthistorisches Institut in Florenz - Max-Planck-Institut and as a Samuel H. Kress Fellow at the Center for Advanced Study in the Visual Arts at the National Gallery of Art in Washington D.C. In addition to her work on early modern art, her interests include game studies and its history in visual and material culture, including video games. Wood will utilize printed sources from the 16th century and sources relating to the historiography of playing cards as material objects. 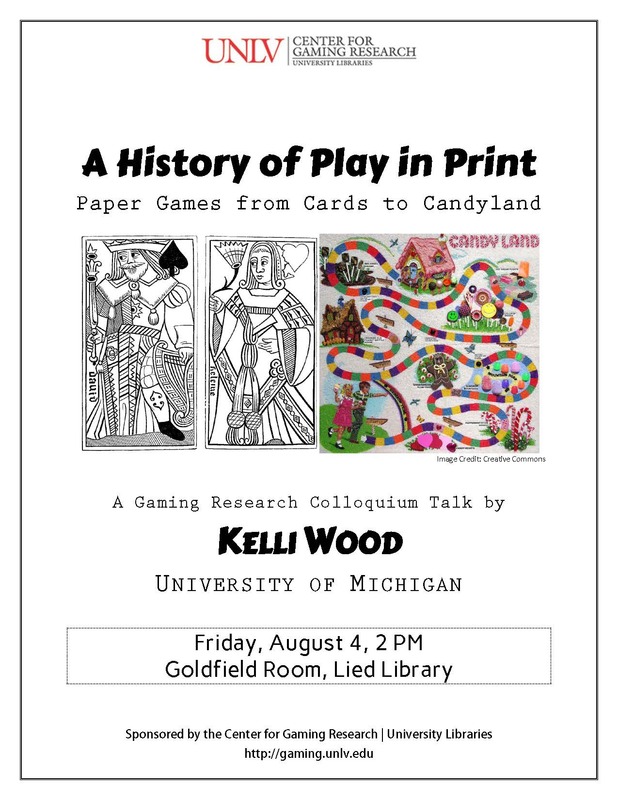 Her colloquium will be a transhistorical look at the evolution of paper games from Renaissance cards to modern board games and can be learned about storytelling, imagination, and chance from these games.